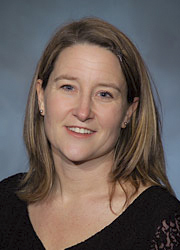 Kerri Boutelle, PhD, associate professor in the department of psychiatry at UC San Diego School of Medicine. Sufferers contend with weight gain and depression including heart disease and diabetes. A new clinical trial, called Regulation of Food Cues, at UC San Diego Health System, aims to treat binge eating by helping participants to identify real hunger and to practice resistance if the stomach is full.